Deforestation is now a global issue that threatens the lives of all kinds of species, including humans! 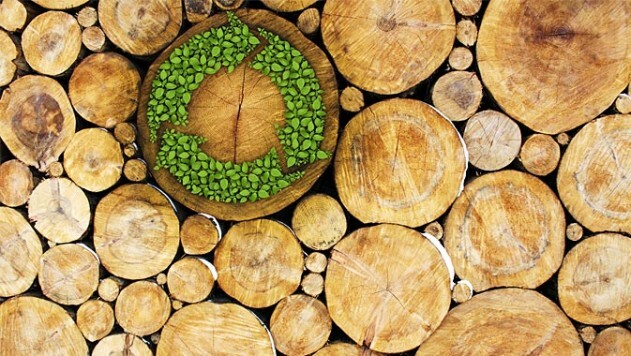 As such, more and more firms and individuals are wising up to the benefits of using sustainable timber in construction. To help clarify this for you, here are seven reasons why sustainable timber is now the best construction material around. Unsustainable timber sources are bad for the planet as they have an overall increased effect on carbon output. Well, sustainable timber is carbon neutral as just as many trees are replaced as those that are harvested for the timber. Better yet, it is believed that young trees that are growing are much more effective at absorbing carbon than older trees. So, a well-managed, sustainable forest can actually help to reduce the amount of carbon being released into our atmosphere. Well-built wooden structures are incredibly pleasing to look at both inside and out. They have a very ecological feel and have the ability to blend in with the surrounding landscape. Many people also love the smell of cut wood, which helps to boost the natural appeal of any home. Compared to other building materials, such as brick and mortar, building houses out of sustainable timber is very easy. Better yet, carpenters are generally more affordable to employ than bricklayers. These savings on labour and time means building timber houses are much more affordable as well. Energy prices are continually on the up, so having a home that is better insulated is important for all forward-thinking homeowners. Well, wood has better natural insulating properties than other building materials meaning it can offer greater levels of insulation than other houses. This also improves upon the environmental-friendliness of the building as fewer fossil fuels are needed to keep it running. In construction, embodied energy refers to the carbon usage needed to actually construct a building. This includes things like transporting materials and constructing them. Well, timber has the lowest embodied energy out of any mainstream building material. Coupled with the fact that the timber is sustainably sourced, building with sustainable timber can massively the reduce carbon footprint of any build. Sustainable timber is an incredibly versatile building material to use. You can include wonderfully creative shapes to the building itself and can also customise the inner look and feel of the finished building. It should be clear that sustainable timber is the best material to use for forward-thinking individuals looking to help reduce the harmful effect we are having on the planet. Timber, in itself, is one of the most versatile and affordable building materials to use, and by ensuring you use sustainable timber, you have the added benefit of massively reducing your carbon footprint.